Despite the New Order's noirish appeal, there's nothing confidential about what we do. 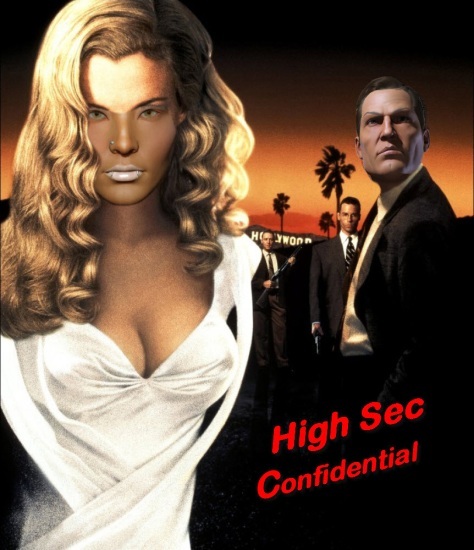 Agents who save highsec every day can't help but shout it from the rooftops! Find out what all the fuss is about and punish some bad miners in my name today. You won't regret it. Our Saviour looks rather dapper in this one. I like it! Erotica has to remember to pull her bangs back next time she is in the tanning booth, so her forehead gets as tan as the rest of her.